I was thrilled to see the new “She Can STEM” campaign put together by the Ad Council in collaboration with General Electric, Google, IBM, Microsoft and Verizon to encourage girls to get involved in STEM. 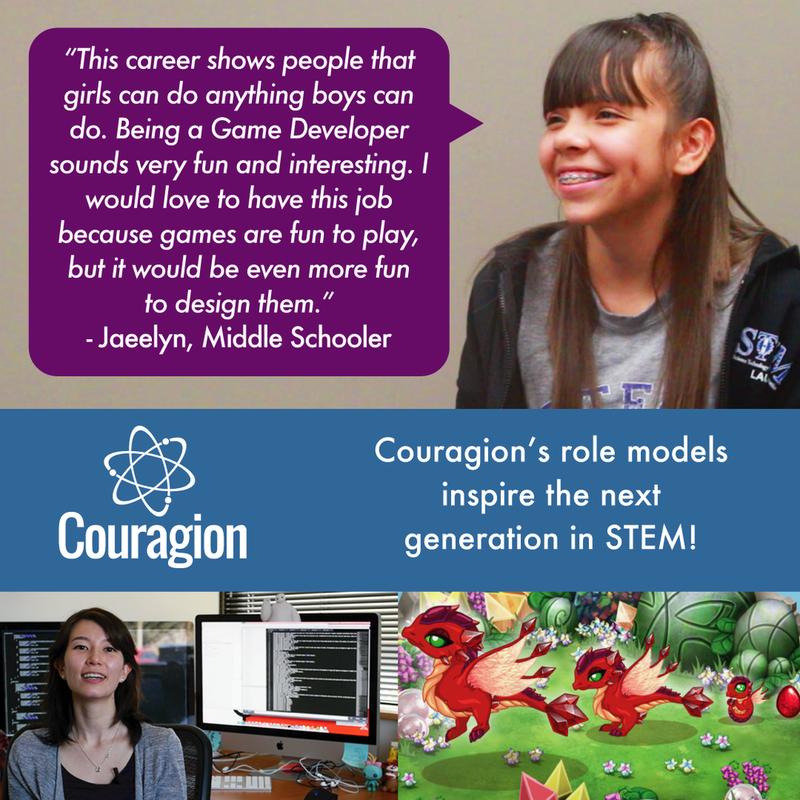 In Couragion’s experience, role models are empowering for students. Our research shows that 83% of female students initially select a role model who is also female; whereby only 15% of male students select a role model who is male. We’ve been working on our own public service campaign with the support of our amazing students. We are hearing directly from students as they share their self-reflection during their personal career exploration. Also featured in our ads are the incredible Couragion role models who are serving as inspiration for the students! So, how can you participate? There is a ‘then and now’ campaign brewing on social media to further inspire the next generation in STEM. Role models are sharing ‘then and now’ photos of themselves online. Join in the fun on either Twitter #SheCanSTEM or Instagram @SheCanSTEM. I did.